Macedonia's political stability is hanging in the balance due to the country's major political parties' standoff over the results of Sunday’s parliamentary election. In an interview with Sputnik, political analyst Branko Djordjevski speculates that Zoran Zaev's victory may lead to the further "federalization" of the country. Tensions continue to simmer in Macedonia following Sunday's parliamentary election. 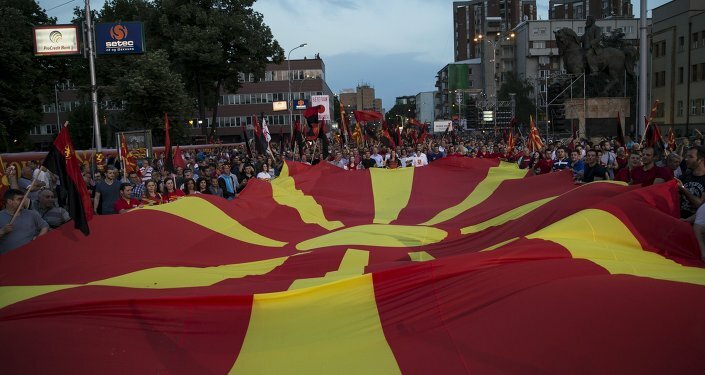 On Monday former Prime Minister of Macedonia Nikola Gruevski's center-right VMRO-DPMNE party declared victory winning 51 seats in the country's Parliament, while Macedonia's largest opposition party, the Social Democratic Union of Macedonia (SDSM), received 49 mandates. The remaining 23 mandates were won by Albanian minority parties. However, the SDSM led by Zoran Zaev refused to accept the results of the parliamentary election. On Tuesday Macedonia's Administrative Court ruled in favor of SDSM's complaint to hold a repeat election at the Tearce polling station number 2011 on December 25, Balkan Insight reported Wednesday. This re-run could swing the balance in the SDSM party's favor from 51-49 to 50-50. However, according to VMRO-DPMNE, the Administrative Court decision spells trouble for the country. "This is part of a larger scenario to falsify the electoral will of the citizens… The math is simple. In this polling station, the SDSM can steal VMRO DPMNE's election victory," VMRO DPMNE's executive committee member Nikola Todorov warned as quoted by the media outlet. Commenting on the issue, Branko Djordjevski, a Skopje-based political analyst told Sputnik Serbian that Zaev has a number of options to bolster the SDSM's positions in the Parliament. According to Djordjevski, it is possible that Zaev will form the country's government by striking a compromise with parties of Albanian minorities. However, that could lead to federalization and "cantonization" of Macedonia, he believes. "Unlike Gruevski, Zaev is ready to make concessions and it will play into the hands of the West," the political analyst suggested. He noted that Zaev pins the blame on Macedonia for its inability to reach a compromise with Greece over the country's disputed name, and with Serbia over the unrecognized Macedonian Orthodox Church. "Zaev is not confused by the fact that foreigners are interfering in the internal affairs of the country. If he forms a government, then Macedonia could easily become an international protectorate," Djordjevski underscored. Therefore, he added, it appears that foreign governments have placed their bets on Zaev. Is Macedonia Becoming New Hotbed in Geopolitical Standoff Between West and Russia? However, the Macedonians have not yet forgotten his statement that Macedonia should bend to Greece's will, when it comes to its name, the political analyst recalled. 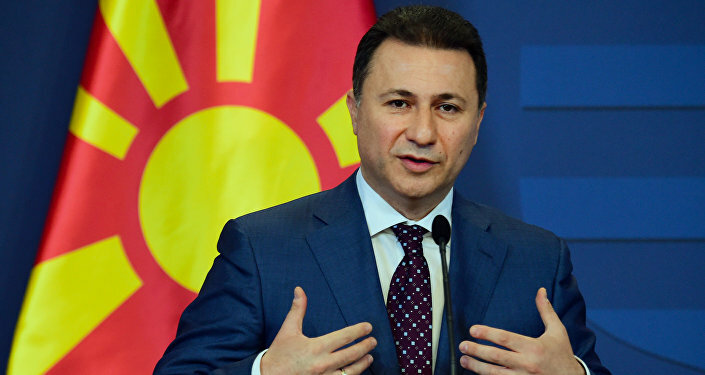 On the other hand, Gruevski is likely to continue to push ahead with his plan to join the European Union, Djordjevski noted, stressing that at the same time the former prime minister seeks to preserve Macedonia's sovereignty and independence. "Gruevski has already demonstrated that he won't compromise easily, whether on the issue of the country's name or its relationships in the region. He strongly opposes foreigners' meddling in Macedonia's internal affairs. Perhaps, the problem is that he publicly says he does not want to see such things in Macedonia, and the West does not like it," Djordjevski assumed. For his part, Alexander Safonov of the Institute of Slavic Studies at the Russian Academy of Sciences (RAS) noted in an interview with Sputnik that it cannot be ruled out that a new government would include a Macedonian president and an Albanian prime minister. The crux of the matter is that Macedonia is a parliamentary representative democratic republic and the Albanians consist about 30 percent of the country's population. Furthermore, while the Macedonian population is shrinking the number of Albanians is steadily increasing. "If the scenario with a Macedonian president and an Albanian prime minister is realized, Macedonia will follow in Lebanon's footsteps or in that of post-Saddam's Iraq," Safonov told Sputnik referring to the fact that in Lebanon and Iraq different ethnic groups hold determined positions in the countries' governments. However, he added, "we see that in Lebanon and in Iraq, this [compromise] has not led to substantial political stability; it's a sort of interim structure, which is designed to reduce tensions until political forces work out a plan regarding what to do next," Safonov concluded. 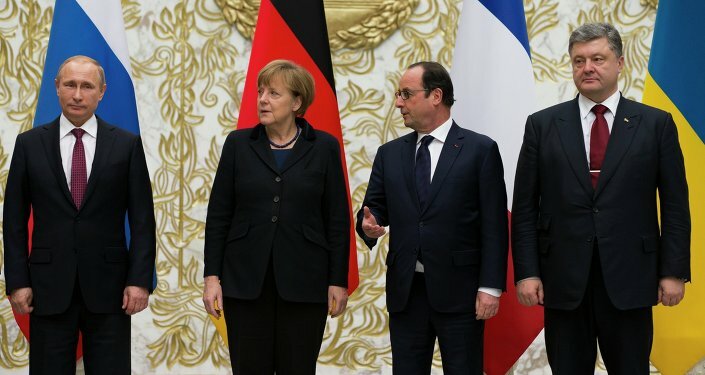 Is Macedonia Becoming Hotbed in Geopolitical Standoff Between West and Russia?